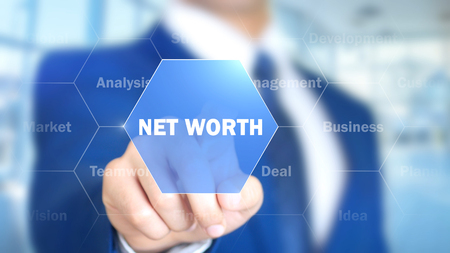 Calculating your net worth is a matter of math — add up your cash, investments, property values, life insurance, financial interests in your business, and other assets such as rare collectibles and jewelry. From that total, subtract all debts, including mortgage balance and the amount owed on credit cards and loans. While the calculation itself is simple, its importance goes far beyond. Knowing your actual net worth is important not only for your future but also for family and loved ones as it relates to your estate plan and how it affects their future. So assuming you have all the numbers for the calculation, how do you know what it really means? An important first step is to work with your Financial Advisor to determine your current situation. Having a clear picture of your net worth now, as well as where it may be in the future, is the starting point before making other decisions, such as beginning a gifting program or establishing a trust fund. The starting point for reducing spending is to determine exactly where you are spending your money and then establish a budget. Noting that maintaining a household is more expensive today than as recently as 20 years ago, it’s important to point out that the advances in technology — cell phones, computers, cable TVs, Internet access — add a considerable amount to the average household’s expenses. Ask yourself if you need everything you have. Extra spending is especially common among those who are just getting started in their careers and have more disposable income than they’re used to, but these tips apply to everyone. Shop around to see if you can bundle Internet and TV into one less-expensive package. Consider making more meals at home instead of going out to eat. Analyze plans for your next vacation to make sure you’re making the best use of your money. Many of us don’t think about where we are spending our money, so understanding that and then setting a budget is a great way to reduce expenditures. The first step in establishing a viable budget is to determine fixed costs, such as mortgage, insurance, utilities, and any other regular obligations. Then look at variable costs, such as leisure travel, entertainment, and even splurges, like a new vehicle. Once you examine these categories carefully, you can get a clear picture of how to start reducing costs. Once you’ve decreased those variable costs, you can look into ways to decrease the fixed costs as well as get rid of or lower other debts you may have. For many people, the bulk of those come in the form of loans on your assets. Interest rates continue to be at historic lows. While many homeowners have taken advantage of these rates to refinance their mortgage and free up some monthly cash or pay down their home faster, it may be worth checking to see where you locked in compared to where rates are currently. Your mortgage isn’t the only place you should try to reduce your interest rate. Consider looking at the rate on any auto loans and refinance if it makes sense. Even unsecured debt, such as what you owe on credit cards, may be able to be reduced through consolidation or refinanced at a lower rate through a personal loan. Talk with a banker to figure out what makes the most sense for your situation. Once you’ve worked on cutting your spending and debt, you may have more money to put toward increasing your assets. Owning a home and building equity has traditionally been one of the most common stepping stones to increasing net worth. Usually, a home is one of the most valuable assets in someone’s portfolio, if not the most valuable asset. However, in today’s mobile society, where employees are changing jobs and cities frequently, it’s more difficult to build equity. Buying a home should never replace saving for retirement. Many of us saw our parents realize sizable increases in the values of their homes, which may have even outpaced the increase in their investments. Historically, however, homes have kept up with inflation but have not outpaced it. Saving for retirement is something you can do regardless of where you live, and with tax-deferred accounts, the savings may grow even faster. Try to max out your retirement contributions, at least up to any company match. If you put a savings plan into your budget, you’ll be less likely to try to access the money, allowing it to grow over time and thus boosting your net worth. Resist the temptation during or after a move to spend your 401(k) or IRA funds. And finally, before you can determine where you want to go and what you want to do, know where you stand at the present time. And the starting point for this understanding is to know your net worth.